They may have a rather oblique name, but they have beautiful bones. 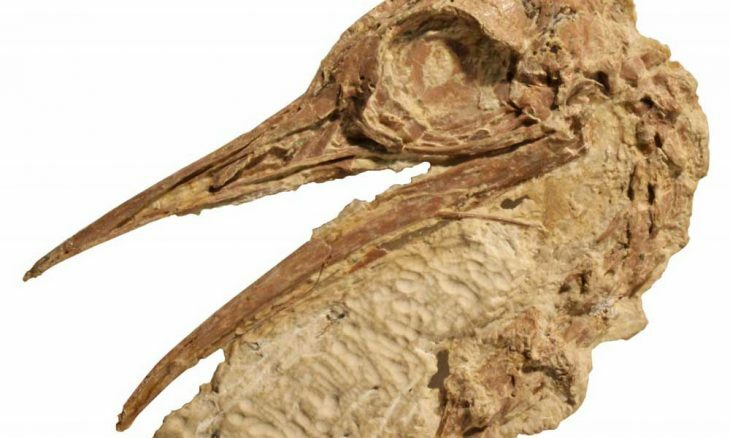 A pair of fossilized birds that scientists describe as “spectacularly well preserved” are connecting some unlikely dots in the history of bird evolution. Although no bigger than chickens, the 50-million-year-old birds turn out to be some of the earliest known ancestors of today’s giant, flightless birds, like the ostrich and the emu. Despite what we still don’t know about them, the specimens may teach us volumes about the evolution of birds in the Western Hemisphere, scientists say. “This is … one of the earliest, well-represented bird species after the age of large dinosaurs,” said Dr. Sterling Nesbitt, a paleontologist at Virginia Tech who reported the find, in a press statement. The two specimens were among five fossil bird skeletons found more than ten years ago at the bottom of a former lake bed in the Green River Formation of southwestern Wyoming. One of the birds is in such pristine condition that some of its soft tissue is still preserved, including elements of its feathers, the scales that covered its feet, and the protein sheaths on its claws. “These are spectacularly preserved fossils,” Nesbitt noted. Bird fossils of any kind are rare, Nesbitt noted, because the animals’ hollow bones tend to become crushed during deposition. However, the new specimens don’t seem to resemble any of them. 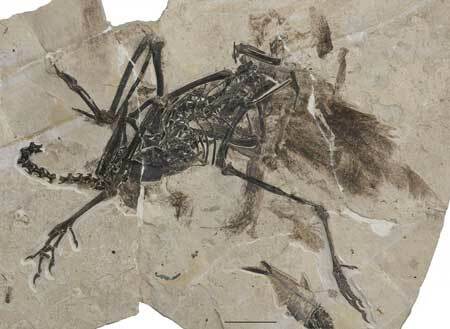 So Nesbitt and his colleagues compared the two best-preserved fossils from Green River with the skeletons of other birds, both living and extinct. 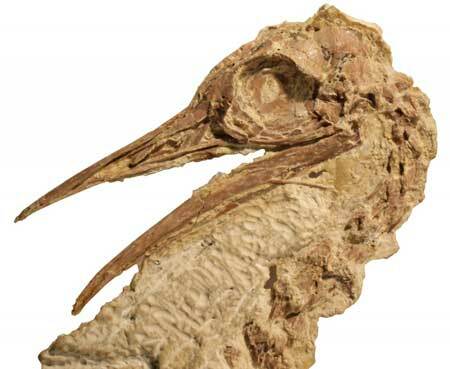 The comparison revealed that the Green River specimens belonged to a now-extinct branch of a group of birds known as paleognaths — a clade whose members today include flightless birds like ostriches, kiwis, and emus. What’s more, the study found that the Wyoming fossils most closely resembled the very earliest and most basal paleognaths, ones whose closest living relatives are birds called tinamous — small, dun-colored, ground-dwellers found throughout South America. This similarity suggests that the ancestors of today’s paleognaths may once have been more widespread across the hemisphere and for a longer time than was previously believed, Nesbitt noted. “The new bird shows us that the bird group that includes the largest flightless birds of today had a much wider distribution and longer evolutionary history in North America,” he said. But scientists still don’t know exactly where in the paleognath family tree these ancient birds belong. “Relationships among species in this lineage of birds have been extremely contentious,” said Dr. Julia Clarke, an advisor on the research from the University of Texas, also in the press statement. There are a few similarities that Calciavis seems to have shared with its modern-day descendants, the team noted. For example, the habitat that Calciavis thrived in was similar to the warm-weather climes where modern ostriches and tinamous are found. And like the tinamou, Calciavis was scarcely larger than a modern chicken, only taking to flight when in immediate danger. But beyond that, how Calciavis relates to tinamous — and how even living paleognaths like tinamous and ostriches relate to each other — remain unclear. Thanks to their lovely bones, the two Green River specimens will undergo more research, to see what they can teach us about the evolutionary history of birds. “This spectacular specimen could be a ‘keystone’ that helps interpret much of the sparse fossil of birds that once lived in North America millions of years ago,” Nesbitt said. Nesbitt and his colleagues report their findings in the Bulletin of the American Museum of Natural History. Some of the dinosaur’s SOFT tissue remained intact for 50 MILLION years? Hmm… this does not make sense.